Revlon is a world famous make up brand from U.S.A. They have redefined the concept of beauty and skin care with their exciting range of international cosmetics, toiletries and fragrances. Along with this, they have also tried to provide them in kits, thus making them affordable and available for different occasions. Super Lustrous Lipstick x 1: This Revlon make up kit contains Super Lustrous Lipstick that is made with LiquiSilk technology, which provides pure silk color and contains moisturizers and vitamins. This can make your lips look fabulous and smooth, since the color of the lipstick is very rich. This gives great coverage and lasts long. Nail Enamel x 1: · Revlon Nail Enamel has a silicone formula that provides a layer of silk protein to your nail surface. It smoothes away bubbles, streaks and gives a salon finish. It is chip-resistant and has a rich color. Eyeliner Pencil x 2: This makes it easy to blend and define your eyes. It is powdery and results in smooth application, helping you to create a matte look. This can be used as kajal also. Super Lustrous Lip Gloss x 1: This Lip Gloss has LiquiSilk formula, filled with moisturizers and Vitamins for a smooth feel and shine on the lips. This is a non-sticky gloss and is also – smudge-free and bleeding-free. Touch & Glow Foundation x 1: This is very light and water-based that gives a radiant finish. Touch & Glow Blush x1: Touch and Glow Blush is very light and silky. This is non-streaking and spreads easily on the cheeks. This comes in a compact travel kit that contains Revlon products and a mirror. Lip color: It is the Sparkling Bordeaux shade that is filled with botanical extracts and anti-oxidants, Vitamins A, C and E. This boosts lip moisture and makes them softer and smoother. Pressed Powder: This comes in the medium shade and a travel size packaging. This smoothes and evens out the skin tone, giving a flawless finish and radiance. Mascara: It is in the black shade that makes the lashes look longer, thicker and silkier. This stays for long hours. This Revlon Glam Eye Kit will help you to create oomph, and a glamorous and fabulous look. This will add some extra sparkle to your eye and brow area. This contains all Sweet and Neutrals shades. This has a ‘watercolor’ – inspired palette of shadows that is very soft in texture and blends well on the skin. It gives a sheer but really good effect and desired color. The shades and color are really sober that can be mixed well with a brush to give subtle and shimmery finish. This is just perfect for makeup beginners. 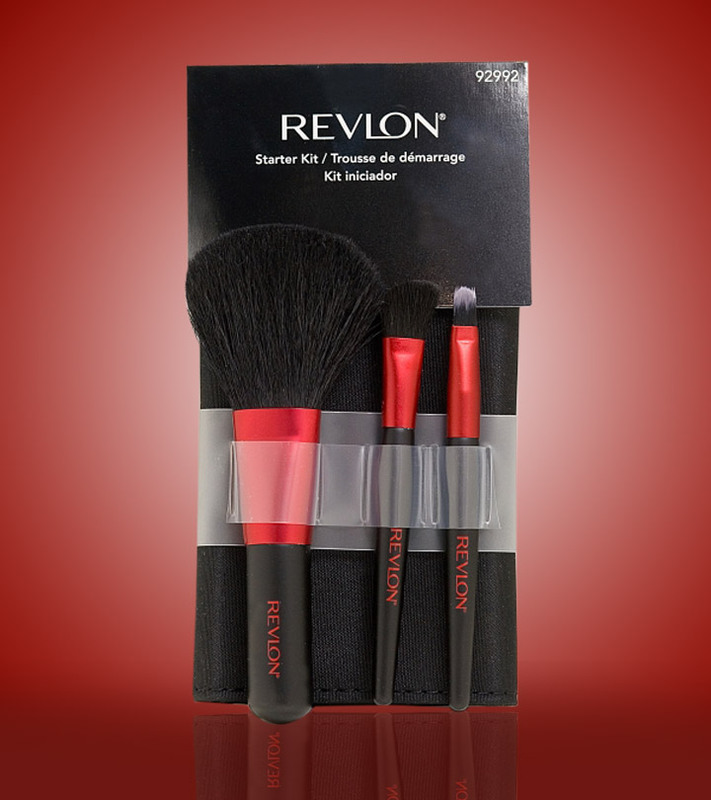 This Revlon makeup kit box contains 3 all-purpose brushes that have full heads with compact handles. These brushes are made from ultra soft, natural hair, which help you to create a complete look. These have premium fibers and natural birch, wooden handles, and is travel-friendly. They can be used for professional use. It is high in quality, convenient and available in comfortable sizes. A concealor / lip brush. 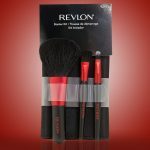 Are you planning to pick up any of these Revlon makeup kits? Leave us your comments below.